Our Grand Central Station in Midtown Manhattan, NY Dental Office Offers On-Time Appointments: Click Here to Schedule Yours! Cintia Morales was born in Buenos Aires, Argentina. She came to the U.S. when she was only 14 years old. She graduated from Wayne Hills High School and has a liberal arts degree from Passaic County Community College. She also has a patient care technician certificate. Cindy fell in love with dentistry while working as a dental assistant in a nursing home. Cindy has more than ten years of medical and dental experience. She is patient, caring, dedicated to her work, and very knowledgeable in the dental financial field as well as in dental information technology. Her hobbies are painting in oil and acrylic as well as drawing from still lifes. In her free time, Cindy likes to travel, enjoys outdoor activities, and most of all, enjoys spending time with her loved ones. Jan Garden was born and raised in Brooklyn. She graduated with a bachelor’s degree from Brooklyn College as well as an associate’s degree in dental hygiene from New York Technical School. Jan has been a dental hygienist for 27 years, and anyone who knows her can tell right away that she loves what she does. 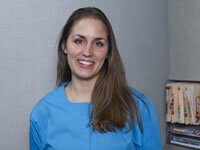 She enjoys working with people and takes pride in treating and caring for her patients. Her experience has gained her patients’ trust, with whom she has exceptional rapport. Jan is highly professional, caring, gentle, informative, and very sincere. Although she can be very serious when it comes to her work, she has a great sense of humor, which makes her patients feel very comfortable when they are in her care. 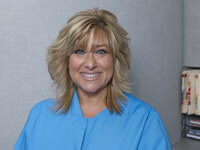 Jan is especially sympathetic and highly experienced in treating handicapped and dental phobic patients. She puts them at ease all the time. Working side by side with Dr. Lichtenstein for almost 15 years has made her more knowledgeable and considers him a great friend and a wonderful caring boss. In her free time, Jan loves to travel, shop, and spend time with family, friends, and most of all, her dog.